When it comes to youth sports in the Smoky Mountains, it is easy to focus on all the positive benefits for the players. However, when it comes to sports teams, the coaches are just as important as the players. These are the men and women who work around the clock to make sure that their players are the best athletes they can be. That being said, if you have never coached youth sports and you are considering it, you may want to check out these secret benefits that coaching brings. The results may surprise you. No one likes a sore sport. This goes for both the players on the field and the parents in the stands behind you. As a coach, it is your responsibility to instill the true values of good sportsmanship and teamwork into your players and their families. The behavior your group displays both on and off the field reflect the values that your team has as a whole, and you don’t want them to reflect negatively on new people you mean when traveling. Being a coach is much more than just standing on the sidelines and coming up with plays. The kids on your team look up to you as a role model. They respect you. For them, what you say goes, and it can be quite fulfilling to know how much respect your players have for you. Not only that, you can also revel on the fact that you are having a strong positive outlook on these kids’ lives. Similar to that as a teacher at school and a parent, you are fulfilling a leadership role for these athletes. The lessons you teach them will more than likely follow them for years down the road. That in itself is very fulfilling. It’s amazing how much you can learn about yourself when you decide to coach youth sports in the Smoky Mountains. Not only does the experience help you impact the lives of all the athletes that look up to you, but you also will start to see bits of yourself in each of your players. Chances are you once played youth sports, and by taking on the role of coach now, you will be able to use your past experiences to help your players evolve into better athletes for the future. If it wasn’t for the ability to be able to recognize situations and emotions that you once felt as a player, you would have difficulty connecting with your team today. When it comes to coaching athletes, especially the younger ones, patience is a must. Thankfully, the longer you spend around these players, the more patience you will acquire. Over time, the big surprises will become less shocking. You will also be able to start to gage how long it will take certain players to adapt to different situations. When it comes to travel sports and team events, you no two tournaments are ever the same. That is why it is very important that you learn to be able to step back, take a deep breath, and process each new situation. Remember, your team looks up to you. If you are calm and collected, they will have a higher chance of focusing on the game and will spend less time worrying and stressing out. 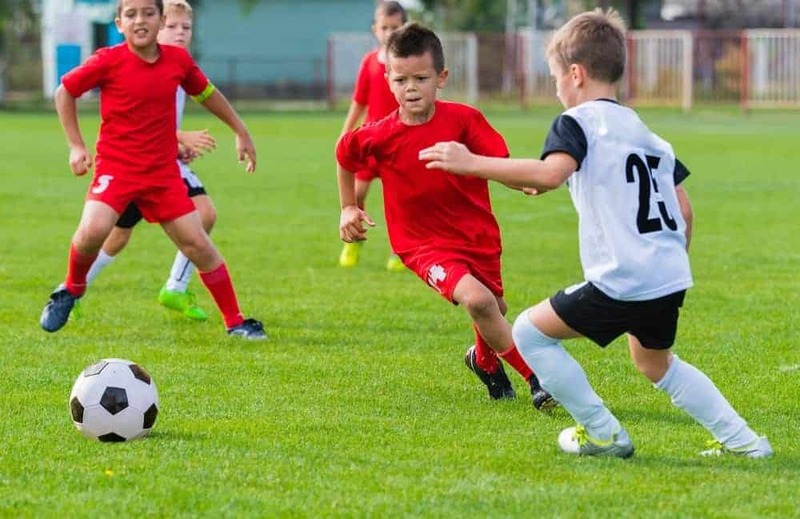 Now that you know all the benefits that coaching youth sports in the Smoky Mountains can bring, it is time to begin planning your next tournament at Rocky Top Sports World. To get a head start, feel free to give us a call at the number above. One of our team members will be more than happy to assist you. This entry was posted in Gatlinburg Sports Events, Our Gatlinburg Sports Complex on October 31, 2014 by rockytopsports.